Warner Bros.' Justice League, the studio's fourth DCEU entry, was expected to easily top the box office this weekend, although it came in far under even the most modest of expectations. The DCEU superhero ensemble had no trouble taking the top spot and beating other newcomers like Wonder and The Star, but it failed to hit its projections, coming in far below most expectations with $96 million. Wonder did manage to overperform, coming in above expectations with a solid $27 million in its opening weekend in second place. Back in September, box office analysts put Justice League's opening weekend at $150 million, coming in just shy of the $166 million of Batman v Superman: Dawn of Justice. 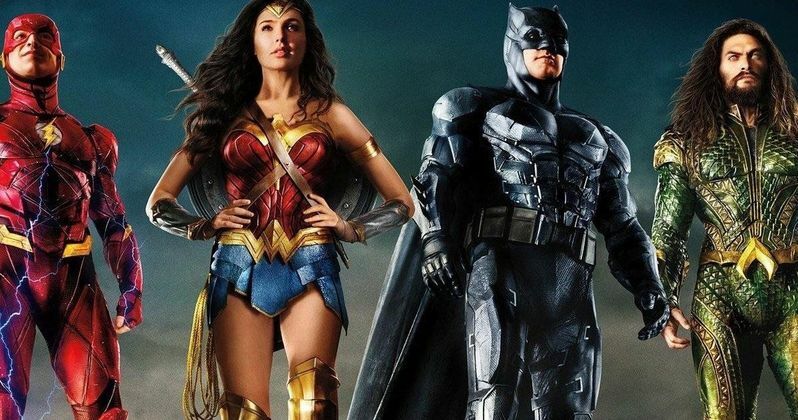 Last month, those numbers dipped even more, with analysts predicting an opening weekend between $110 million and $120 million, and while some thought it may exceed those more modest expectations, it still managed to fall quite short of most projections, even coming in below the latest projections and below Wonder Woman and its $103.2 million debut. It opened in 4,051 theaters, pulling in a solid $23,698 per-screen average, but it's possible that the middling critical reception had something to do with this box office disappointment. After a controversial move to withhold the Rotten Tomatoes score, so it could be revealed on one of the site's digital shows, the RT score was revealed to be 46%, but it has since dipped to 40%. Still, the movie looked to be in decent shape, with its Thursday box office previews coming in at $13 million, coming in ahead of Wonder Woman, but it ultimately couldn't top Wonder Woman when all was said and done. No budget details were officially released, and although the movie will most likely find a way to turn a profit, this is certainly not the opening weekend the studio was expecting for Justice League. Fueled by his restored faith in humanity and inspired by Superman's selfless act, Bruce Wayne enlists the help of his newfound ally, Diana Prince, to form the Justice League and face an even greater enemy. Together, Batman and Wonder Woman work quickly to find and recruit a team of metahumans to stand against this newly awakened threat. But despite the formation of this unprecedented league of heroes-Batman, Wonder Woman, Aquaman, Cyborg and The Flash-it may already be too late to save the planet from an assault of catastrophic proportions. Zack Snyder directs Justice League, with Joss Whedon directing the reshoots and rewriting the script after Zack Snyder had to back away from the project following a family tragedy. The top 10 is rounded out by Wonder, which came in far above expectations with $27 million in second place, followed by Thor: Ragnarok ($21.7 million), Daddy's Home 2 ($14.8 million), Murder on the Orient Express ($13.8 million), The Star ($10 million), A Bad Moms Christmas ($6.8 million), Lady Bird ($2.5 million), Three Billboards Outside Ebbing, Missouri ($1.1 million) and Jigsaw ($1 million). Also arriving in limited release is Sony's Roman J. Israel, Esq., which will expand nationwide a few days later over Thanksgiving weekend. The film earned an impressive $65,000 from just four theaters for a $16,250 pr-screen average, while IFC's Sweet Virginia took in $5,084 from one theater. No box office data was released for Gravitas Ventures' Almost Friends, Argot Pictures' Big Sonia and Vertical Entertainment's Revolt. Looking ahead to next weekend, Disney Pixar's Coco will be the only major studio movie arriving in wide release over the Thanksgiving holiday, debuting on Wednesday, November 22 while Bleecker Street's The Man Who Invented Christmas is also said to have a nationwide release, alongside the expanding Roman J. Israel, Esq., although there are several others that will arrive in limited release. Debuting in limited release on November 22 is Focus Features' Darkest Hour, and on Friday, November 24, Zeitgeist's documentary Bombshell: The Hedy Lamarr Story, Sony Pictures Classics' Call Me by Your Name, Abramorama's documentary Eric Clapton: A Live in 12 Bars and Cohen Media Group's La Belle Noiseuse will all arrive. Take a look at our projected top 10 for the weekend of November 17, and check back on Sunday for the box office estimates from Box Office Mojo.